Create an Adoption Portfolio Book filled with love. with idea pages Choose from 15 pre-designed pages such as Our Community and Hobbies & Adventures. Guided writing prompts help you tell prospective birth families all about you. Customize with ease Take your pick from thousands of backgrounds and embellishments to reflect your personality and fit your unique story. Share, update and reorder Your adoption portfolio can be shared digitally. It's also easy to update content in the book throughout your journey and order multiple copies over time. 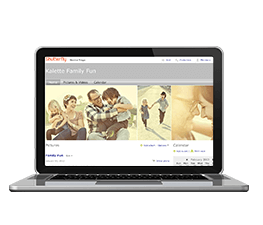 Shutterfly can be a trusted one-stop resource for your family from the beginning of your adoption journey, to welcoming your child and your lifetime of memories together. 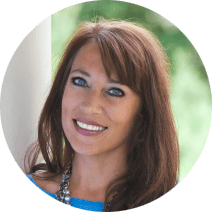 –Madeleine Melcher Adoptee, author, speaker, blogger and adoption profile creator. We're so happy Madeleine shared her expertise in helping us develop the Adoption Portfolio photo book. Featured in The Huffington Post, The Dave Thomas Foundation Guest Blog and the critically acclaimed series Portrait of Adoption, Madeleine has written several books including How to Create a Successful Adoption Portfolio and Dear Adoptive Parents: Things You Need to Know Right Now - from an Adoptee. Adoption Announcements Introduce your new addition to the world. that tell your family story. For Free! Introducing Shutterfly Make My Book service. With this service, our customer expert will create your photo book and help you customize it. This custom service allows you to have more memories with less work. Photo books are the best way to cherish and preserve your memories. Whether it's a gorgeous wedding album, a new baby memory book, fun-filled school yearbooks, an adventurous travel photo album or a personalized children's book, Shutterfly has professionally bound photo books for every occasion. 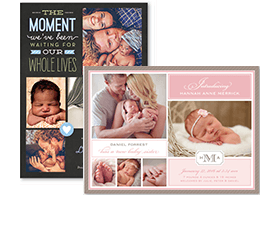 Our one-of-a-kind, high-quality custom photo books make wonderful gifts and provide a great option for digital scrapbooking. Looking for inspiration? Try creating a custom recipe book, a portfolio book, a seasonal photo album, a birthday book or a school memory book. Want a new way to make photo books? Try Photo Story for iPad, a photo book app that lets you make photo albums right from your iPad.